Twisted Sister delivered their hometown farewell performance at Lakewood, NJ’s second annual Rock Carnival on October 1, and video from the event has surfaced. 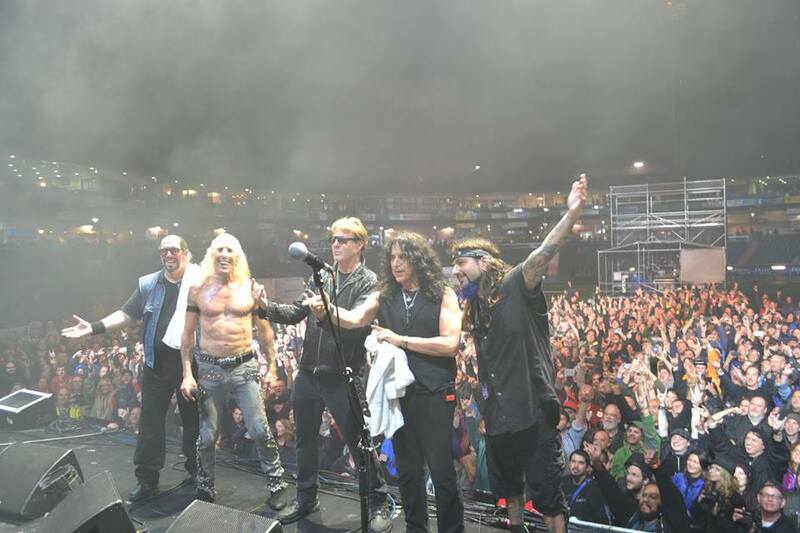 Twisted Sister will end their live career with two more shows on their 40th anniversary tour schedule: an October 22 stop in Sioux Falls, SD and a November 12 gig in Monterrey, Mexico. "The best way I can describe it is it's the last five minutes of the Twisted Sister fireworks display," guitarist Jay Jay French explained earlier this year. "This is the end, and I know people are skeptical because all bands say they're retiring and then they don't. We never did, although (Snider) has retired many times. This is the first time I've said, 'Yeah, this is it.' It's been a long time. It's been over 9,000 shows, and it is time to call it a day."